Steel Supply is Houston's best source for steel, iron, and aluminum. We are your complete source for structural steel, pipe fittings, welding supplies and ornamental iron. 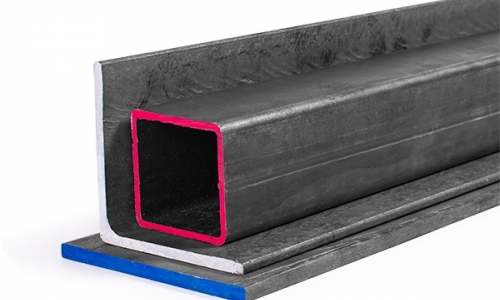 We now have a selection of cut steel angles, flat-bar and square tubing available for purchase online. Steel Supply, L.P. is a one stop shop for all of your steel needs. 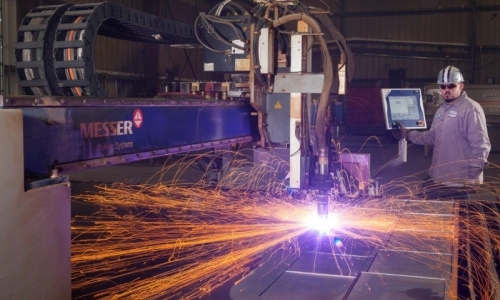 We provide services such shearing, sawing and plasma cutting. 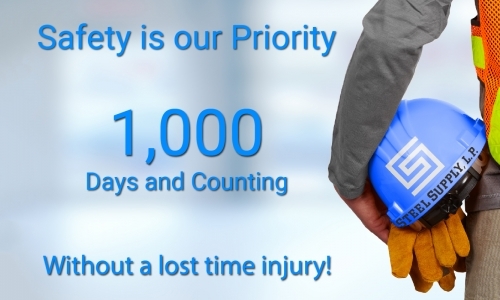 We're celebrating 1,000 days (and counting) without time lost to an injury. 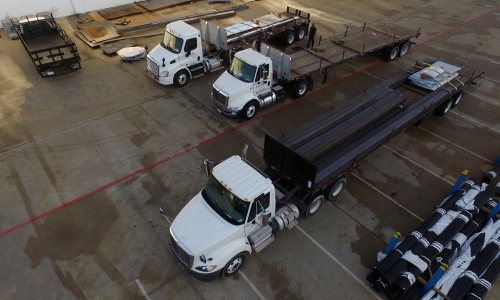 Watch our new video following our truck on a typical day - working hard to get steel to you.